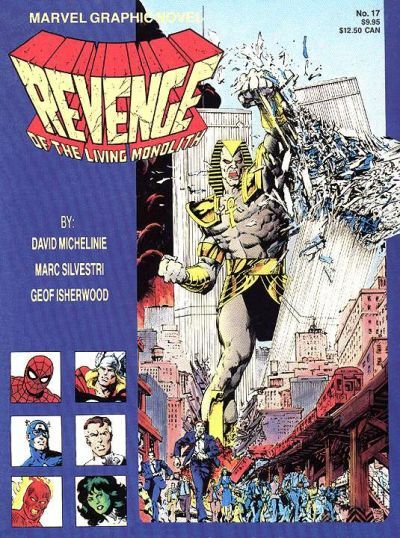 Revenge of the Living Monolith began with the idea of having a superhero equivalent of giant monster movies where Godzilla stomps through Tokyo, and Marvel’s giant villain in the early 1980s was the Living Monolith. 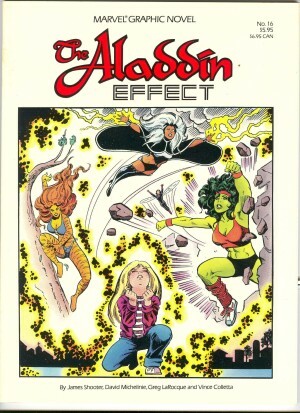 David Michelinie spends the first dozen pages applying greater motivation and character to Ahmet Abdol, now a scholar whose theories that the ancient Egyptian pharaohs were actually mutants are controversial and heretical. He and his family are chased from town and only he survives, the stress conveniently triggering his mutant powers. You see, he’s always claimed to be descended from pharaohs himself, and from there it’s but a small step to villainy and regular embarrassment at the hands of the X-Men. His latest plot is developing a machine that will brainwash the entire world into acknowledging him as ruler. Perhaps in 1985 the plot held surprises, but now the lack of logic, the resorting to contrivance and the plain silliness is more apparent. 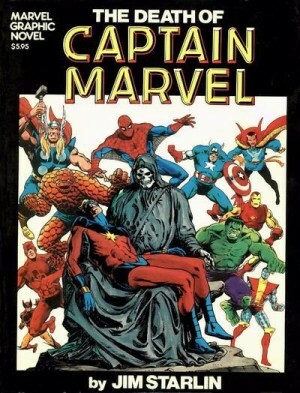 The novelty is that most of the story is told from the villain’s viewpoint, which wouldn’t have been the case had the story been shoehorned into four issues of a regular Marvel title, but little else marks Revenge of the Living Monolith as anything special. There’s no cheating on the cover premise, mind. 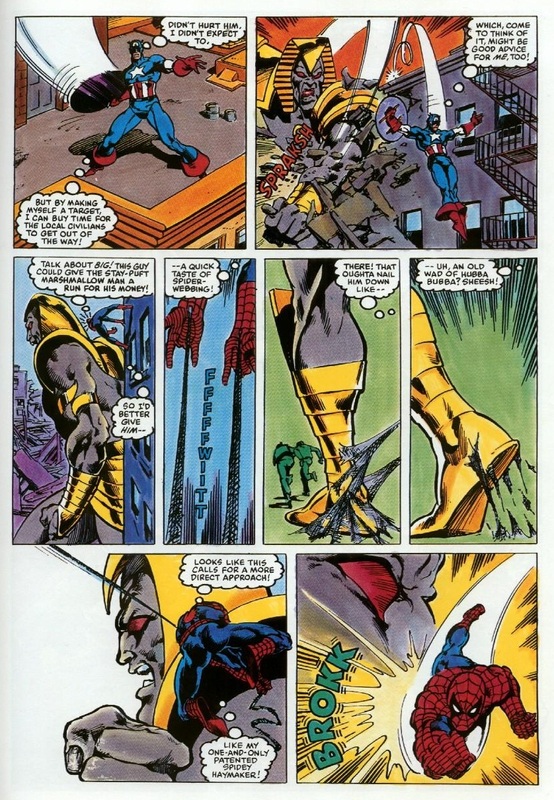 By the halfway point Abdol has absorbed enough energy to become skyscraper sized and sets off from the airport toward Manhattan, with only Captain America, She-Hulk and Spider-Man available to stop him. 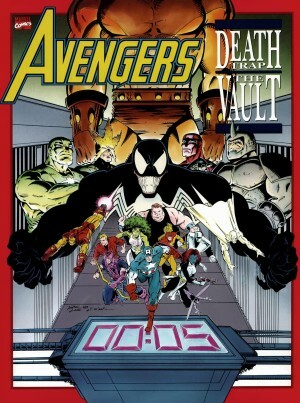 A real surprise is Marc Silvestri’s solid art. It’s of its era and at the start of his career, but there’s flair for storytelling absent from later work when style was the priority. At first it might seem he’s having problems with scale, but that’s not the case. It’s a plot point addressed in the final pages. 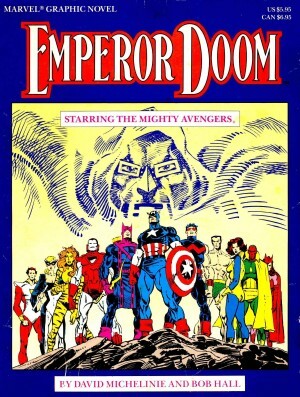 Three-quarters of the way through Michelinie moves above autopilot, setting the integral unsolvable problem of one city seemingly destroyed no matter what, having Captain America lay out an ethical argument, and a novel, if dumb, ending. The moral message about the inherent good in humanity is tritely delivered, though. Overall? Superhero comics have moved on.